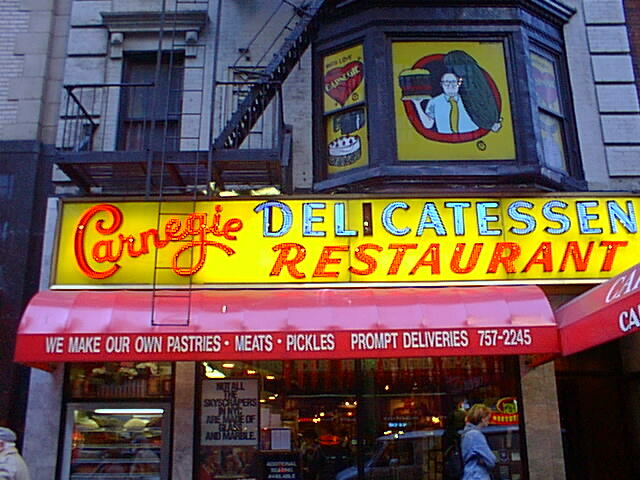 This is the institution for delicatessen. Just north of Times Square, just south of Carnegie hall. The sandwiches are so big you'd need Carly Simon's mouth to eat them. Pastrami, corned beef, cheesecake, etc. It's all more cholesterol than one can handle. Best time to go would be after 10 pm when the "who's who" crowd strolls in.